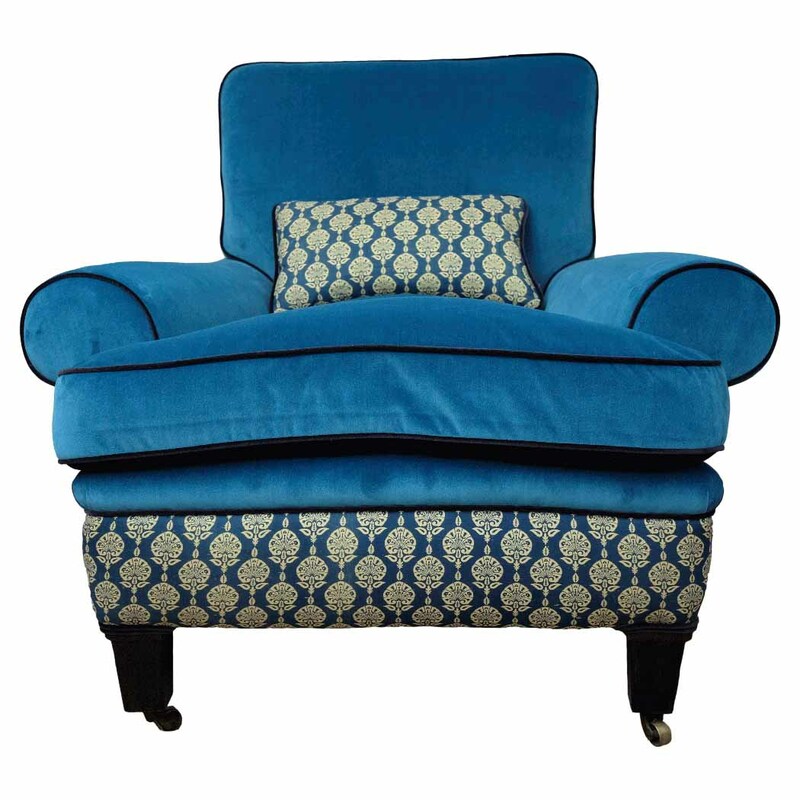 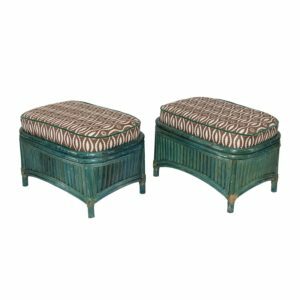 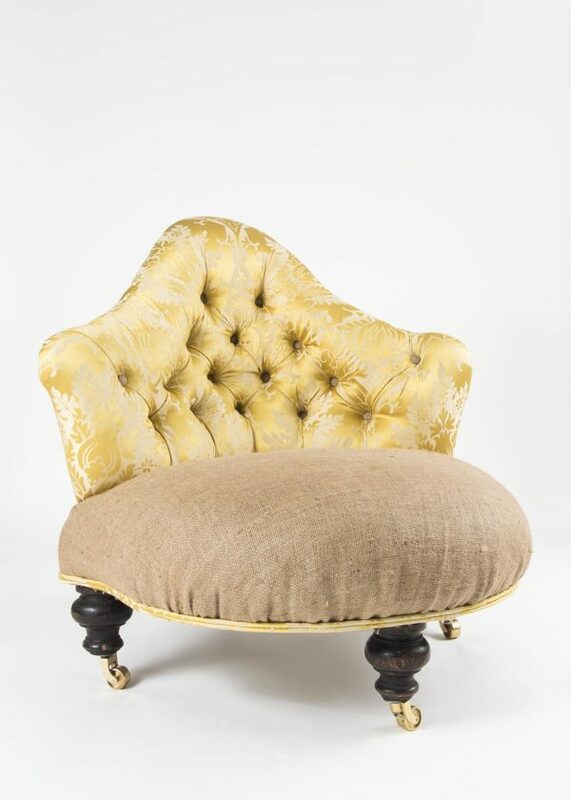 A charming late Victorian Corner Tub Chair with rounded ‘pudding’ upholstered seat and buttoned back on short turned ebonised legs with brass castors. 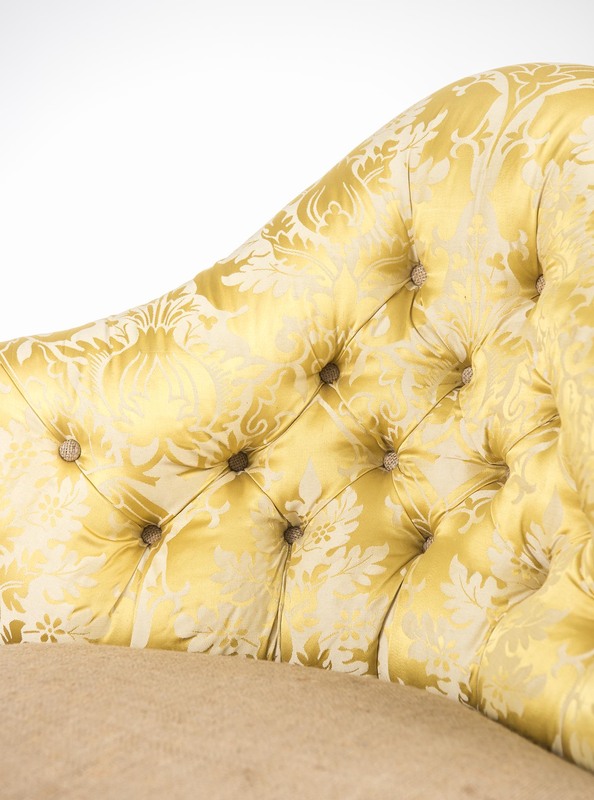 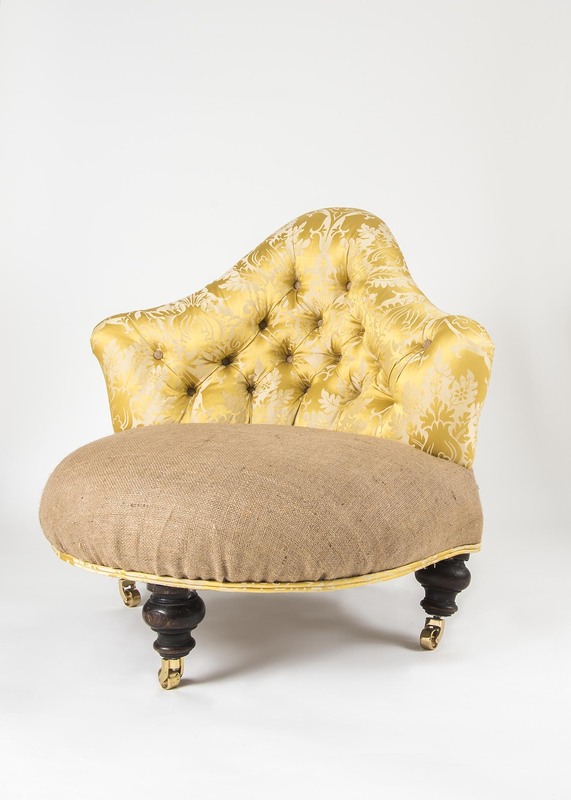 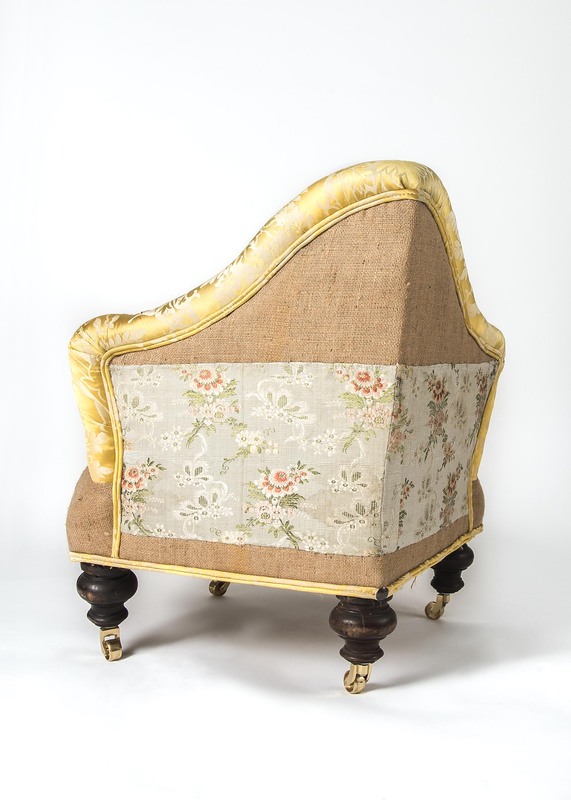 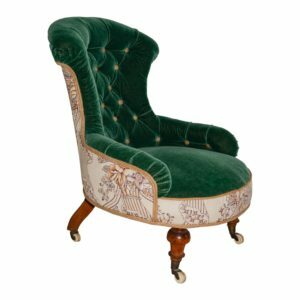 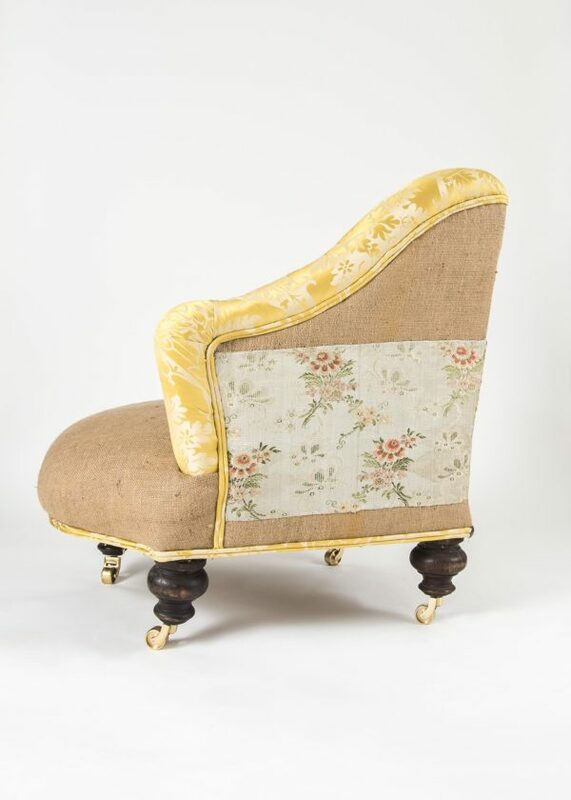 The buttoned back upholstered in antique yellow damask, the seat and back in hessian applied with two large 18th Century brocaded floral silk patches. 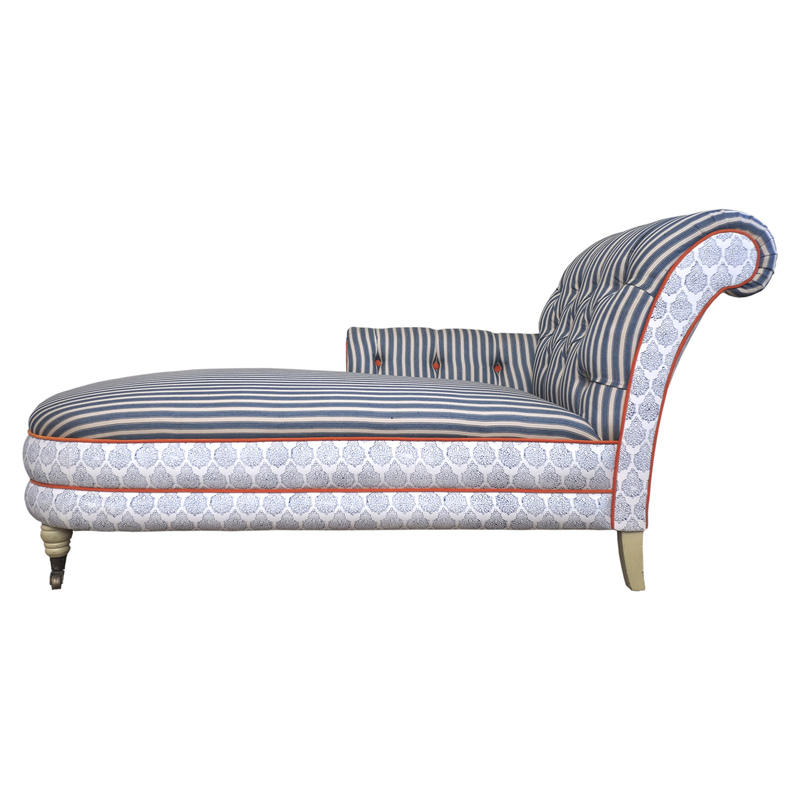 Finished with double piping.